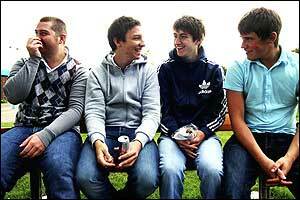 Britain's New Musical Express named the Arctic Monkeys album Whatever People Say I am, Thats What Im Not one of the Top 5 albums of all time. Top 5?!? Over-hyped is too weak a word  apparently four kids who cant even drink legally in the States, in their freshmen effort, have made a better album than bands like the Beatles and the Clash.